He may look fluffy and cute, but Stay Puft is ready to scare the city! Stand back as Ghostbuster Ray Stantz uses his proton pack on the and covers the city in marshmallow! 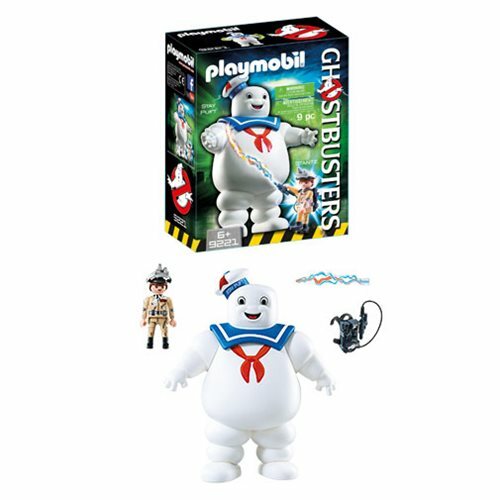 This Ghostbusters Staypuft Playset also includes Ecto-Goggles and other accessories. Ages 6 and up.